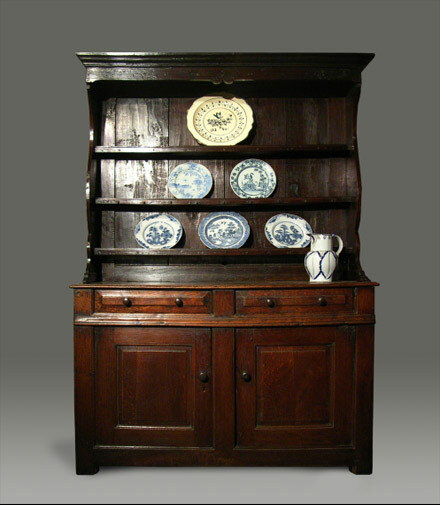 This desirable rustic oak dresser is from the Conwy Valley, circa 1710, and has very small proportions. It's rack consists of a neat cornice with subtle central shaping to the frieze. The sides have a bold shape, know as a "belly", which finally terminate into delicate shoes. At the top of the base are two drawers, each with a slim raised and fielded panel with two wooden knobs. Below these is a heavily moulded applied beading that runs across the front of the dresser. The dresser is finished off with two cupboards which have raised and fielded panels, with wooden handles, all supported on stile feet. 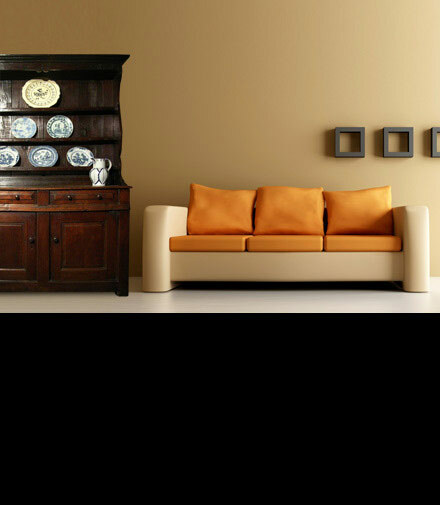 Featured in: "Welsh Furniture 1250-1950"